LOS ANGELES, California, May 15, 2013 (ENS) – A father and son team from Orange County, described by prosecutors as being “at the apex of the rhino horn smuggling pyramid within the United States,” each will spend more than three years in prison on federal smuggling and money laundering convictions. Vinh Chuong “Jimmy” Kha, 49, of Garden Grove, was sentenced to 42 months in federal prison for overseeing a U.S.-based operation that prosecutors argued played a direct role in a huge increase in rhinoceros poaching in Africa over the past several years. Felix Kha, 27, the son of Jimmy Kha, also of Garden Grove, was sentenced to 46 months in federal prison for working with alongside his father in the scheme that generated millions of dollars that provided them with profits, as well as money to purchase more contraband rhino horns and pay bribes to customs officials in at least one other nation. The rhino horns acquired by the Khas during the course of their conspiracy had a market value of up to $2.5 million, prosecutors say. 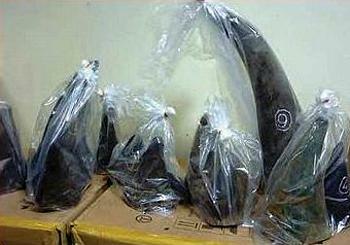 In their plea agreements, both defendants admitted that they purchased the horns in order to export them overseas to be sold and made into libation cups or used for traditional medicine. They admitted making at least one illegal payment to Vietnamese customs officials to ensure clearance of horn shipments to that country, and evading income taxes owed in 2009 and 2010. In addition to the prison terms, the Khas were each ordered to pay a $10,000 fine. Judge Snyder also ordered them to pay a cumulative total of more than $185,000 in tax fraud penalties to the Internal Revenue Service. Both Khas, along with the father’s company, were also ordered to pay a total of $800,000 in restitution to the Multinational Species Conservation Fund, a fund managed by the U.S. Fish and Wildlife Service to support international efforts to protect and conserve rhinos and other critically endangered species around the world. A third defendant in the case, Win Lee Corporation, which is owned by Jimmy Kha, was sentenced today to five years of probation and ordered to pay a $100,000 fine after it pleaded guilty to charges of smuggling and wildlife trafficking. The Khas each pleaded guilty last September to five felony counts – conspiracy, smuggling, wildlife trafficking in violation of the Lacey Act, money laundering and tax evasion. The Khas were among 14 people charged with federal crimes as a result of “Operation Crash,” an ongoing investigation led by the U.S. Fish and Wildlife Service. Rhinoceros are a prehistoric species and one of the largest herbivores on earth. All rhinoceros species are protected under U.S. and international law, and the black rhinoceros is listed as an endangered species. Despite national and international protection efforts dating back 40 years, the demand for rhino horn and black market prices have skyrocketed recently due to the value that some cultures have placed on the horns for ornamental carvings, good luck charms or purported medicinal purposes. For decades, rhino poaching was an isolated event in countries like South Africa, where the number of wild rhinos illegally killed there averaged 15 animals a year – until 2008 when the Khas began trafficking rhino horns. At the peak of the Khas’ wildlife trafficking conspiracy in 2011, 448 wild rhinos were slaughtered that year for their horns in South Africa alone. 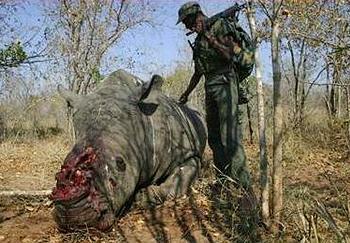 Between 2007 and the end of 2011, the poaching of wild South African rhinos increased 3,400 percent. From January 2010 through February 2012 the Khas conspired with others throughout the United States to purchase white and black rhinoceros horn with the knowledge that these animals were protected by federal law as endangered and threatened species. Operation Crash is an investigation being conducted by the U.S. Fish and Wildlife Service, which has received extensive assistance from the U.S. Postal Inspection Service, IRS – Criminal Investigation, and U.S. Immigration and Customs Enforcement’s Homeland Security Investigations. The case against the Khas was prosecuted by the United States Attorney’s Office for the Central District of California and the Department of Justice’s Environmental Crimes Section.